The inclusion of the company in the license partnership is an international recognition of our unique offshore experience, Lukoil says. As relations with Russia remain marred by political controversies, Norway opens the door for a new east-west oil partnership in the Arctic. As part of its 23rd License Round, the country awards Russia’s biggest privately-owned oil company Lukoil a 20 percent stake in a license located directly along the borderline to Russia. «The offered participation in the license for exploration and production at the Fedynsky High, at the territory which Russia and Norway were pacing to finally reach the agreement on for 30 years, is a confirmation of international recognition of LUKOIL’s unique experience obtained at Caspian, Barents, Baltic, Black sea and African fields», the Russian company says in a comment to the Barents Observer. Lukoil is the only Russian awardee in the license round. The second Russian bidder, state company Rosneft, is not on the list presented by the Norwegian government. «LUKOIL was the first Russian oil company pre-qualified in 2011 as an operator on the Norwegian Continental Shelf and became the only Russian company, which was granted a participation in the new project within 23rd Round. We believe the Company’s knowledge and experience provide competitive advantages both for Russian and Norwegian Shelf», the company underlines. The license blocks in question are located directly along the Norwegian-Russian maritime border about 400 km north of the mainland. The partnership will be operated by company Det Norske (40%) along with Lukoil (20%), Statoil (20%) and SDØE (20%). License PL858 includes seven blocks (7234/3,6 and 7235/1,2,3,4,5) and a total territory of 1,432 sq.km, one of the biggest among the ten licenses awarded as part of the round. Operator Det Norske says to Barents Observer that the PL858 license area is «exciting» and that the company has «great expectations». Rolf Jarle Brøske, Press Officer at Det Norske. «We see this as a show of confidence», company press spokesman Rolf Jarle Brøske underlines. The Norwegian company has no previous cooperation experience with Lukoil. 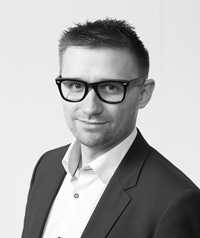 Norwegian analyst and businessman Johan Petter Barlindhaug says to the Barents Observer that a major oil discovery in the license area would significantly strengthen the role of Lukoil in the region. «It would give the Norwegians a Russian on their side», he argues. 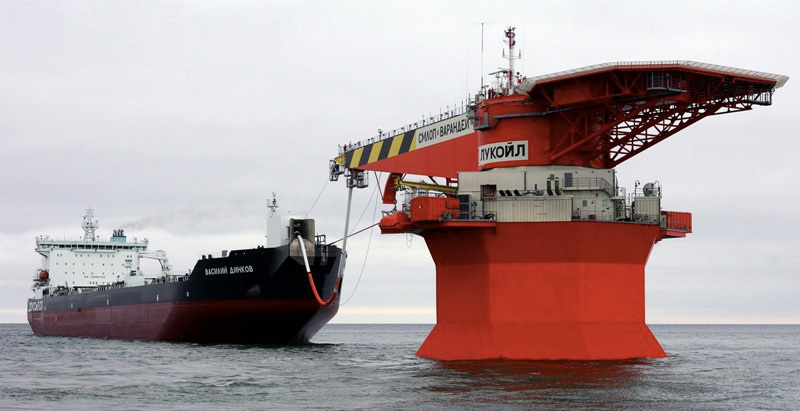 According Daniel Fjærtoft from the Sigra Group, the PL858 license area is exciting because Lukoil is not approved for offshore projects in its Russian home marked. «If a discovery is made [in the license area] it will be a paradox that Russian private capital appears welcome in Norway, but not in Russia». Arild Moe from the Fridtjof Nansen Institute sees the inclusion of Lukoil as «a cooperative approach from the Norwegian side». Lukoil has for years fought for licenses in Russian Arctic waters, but has failed to get its bid acknowledged by the Kremlin. Russian federal legislation today allows only state-owned companies permission to operate shelf projects. Consequently, only Gazprom and Rosneft have licenses in Russian Arctic waters. Lukoil has experiences from offshore drilling in the Caspian Sea and is a major oil producer in Arctic land projects in the Nenets Autonomous Okrug and the Komi Republic. The company has also looked at several projects in Russian territorial waters, near the coast, among them in the Khatanga Bay in the Laptev and bays in the Barents Sea, Pechora Sea and Sea of Okhotsk.